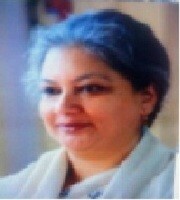 Meenakshi F. Paul is Professor of English at the Himachal Pradesh University Centre for Evening Studies, Shimla. She teaches literatures, is a translator and poet. As a researcher, her focus is on folk wisdom, traditional knowledge and culture, with special reference to narratives of women and ecology, as also to gender and justice issues. She has published several articles and books, including a volume on bi-lingual poetry, Kindling from the Terraced Fields and a book of translation, Short Stories of Himachal Pradesh. She has co-edited three textbooks: Life Unfolded, The Blossoming Mind and A Step Ahead. Her doctoral dissertation is a cross-cultural and socio-psychological comparative study of Toni Morrison, Isaac Bashevis Singer and John Steinbeck.